High quality web design. Development and coding. Social media. Stock photography. 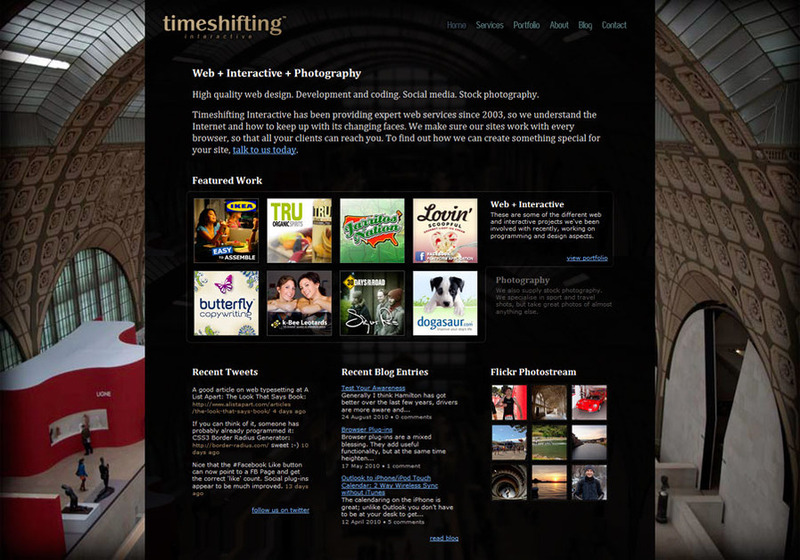 Timeshifting Interactive has been providing expert web services since 2003, so we understand the Internet and how to keep up with its changing faces. We make sure our sites work with every browser, so that all your clients can reach you. To find out how we can create something special for your site, talk to us today. Web programming, social media and mobile development.